Swaziland’s King Mswati the III has married 19-year-old Siphelele Mashwama, daughter of Swaziland cabinet minister, Jabulile Mashwama as his 14th wife. 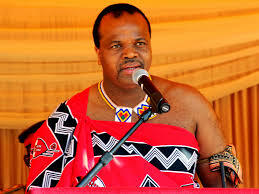 The new bride for the Swazi King has been confirmed by royal festivities overseer, Hlangabeza Mdluli. He made the revealed that the new bride is currently in New York in the United States, where the 49-year old King is attending the United Nations General Assembly. Mdluli told local journalists on Sunday, while the King was about to board his flight to the New York, that the King has officially made his choice of the new wife.